"We're still in the EU - Why doesn't my new passport reflect that?" It's a pre-emptive move, even though the contentious Brexit is now delayed and no clear date has been set when Britain will leave the bloc. Brexit has been delayed but it hasn't stopped new versions of British passports being issued. 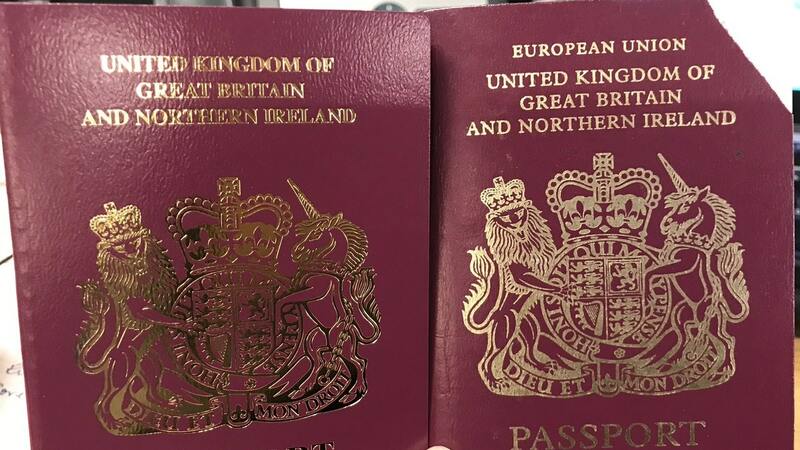 Steve Rowe, who was pleased to receive one of the old passports after 30 March, said: "I received my new passport this week with a start date of 1 April, happy to say it still says European Union; I think we'll still be discussing Brexit when it runs out in 2029". March 30 was the original date set by the enacting of Article 50 for the exit of Britain from the European Union. "In order to use leftover stock and achieve best value for the taxpayer, passports that include the words "European Union" will continue to be issued for a short period", a spokeswoman said. Susan Hindle Barone tweeted that she was "truly appalled" when she received her passport on Friday without the European Union label. Conservative MP Andrew Rosindell, who had campaigned to bring the blue passport back, said the change amounted to a Christmas present "to those who care about our national identity, drawing the ire of a few constituents who ironically questioned whether the new design would allow them to work in neighboring countries". Mr Tusk has proposed a longer time frame, urging the 27 remaining European Union nations to offer the United Kingdom a flexible extension of up to a year to make sure the nation does not leave the bloc in a way that could undermine commerce.